This year Northern Freshers Camp comes to Hull! Have a relaxing weekend away from the stresses of uni, catch up with friends, and meet other scouts and guides studying in the North of England. We are aware the camp falls on Remembrance weekend and we have arranged to join the local parade on Sunday morning for those who wish to attend. It's never dull in 'ull! 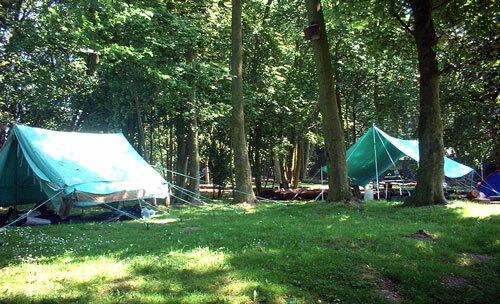 We are invading Melton Scout Campsite (HU14 3HU). The easiest way to get there is by car, there will be places to park, however we encourage car sharing if you are using your own transport as parking will be limited. Other wise you can use public transport. Getting the train to Ferriby and from there the campsite is a short walk. Members of HOGS will be at the station to direct and help you with any heavy bags/tents! HOWEVER due to maintenance on the tracks, the easiest way back from the campsite is from Brough train station, to help with this we will be trying to provide transport to the train station if required. For more detailed instrctions for driving and for trains, check out the transport page.